1. When do you use NIPPV in status asthmaticus? The use of NIPPV (non-invasive positive pressure ventilation) for respiratory failure has been proven to be beneficial and widely accepted in practice for multiple indications including COPD exacerbations and pulmonary edema from CHF. As it has been shown to work in these disease processes, there is naturally interest in determining whether NIPPV would be useful as a treatment modality for severe asthma exacerbations or status asthmaticus. By providing external PEEP, NIPPV is proposed to offset the intrinsic PEEP of bronchospasm, which results in alveolar recruitment, improved ventilation-perfusion mismatch, and decreased work of breathing (Lim, 2012). According to the Global Initiative for Asthma (GINA, 2015), a severe asthma exacerbation is clinically defined as a patient who talks in words only (rather than in full sentences), sits hunched forward, agitated, RR >30 breaths/min, accessory muscle usage, pulse rate >120, SpO2 <90% on room air or PEFR </= 50% of predicted. Additionally, after one hour of therapy if PEFR or FEV1 remains <60% of predicted, then the patient is considered as having a severe asthma exacerbation. These patients are the ones in whom we are interested in knowing if NIPPV has any benefit. There have been several randomized, controlled trials that directly compare NIPPV to standard medical therapy in severe asthma. Brandao, et al. (2009), randomized 36 patients with an FEV1 <60% of predicted to receive standard therapy, bi-level NIPPV (Inspiratory positive airway pressure = 15cm H2O, Expiratory positive airway pressure = 10cm H2O) or bi-level NIPPV (IPAP= 15 cm H2O, EPAP = 5cm H2O). When they analyzed FVC, FEV1, PEF and FEV25-75% at 30 minutes after initiation of therapy, the low EPAP NIPPV group showed statistically greater improvement in FVC, FEV1, PEF and FEV25-75% when compared to the standard therapy group. Interestingly, the high EPAP group only showed significant difference in improvement in peak-expiratory flow. Two additional studies, Soroksky, et al. (2003) and Gupta, et al. (2010), reported rates of endotracheal intubation as well as mortality, in addition to objective respiratory parameters. Soroksky, et al. randomized 30 patients with severe asthma (defined by FEV1 <60% of predicted) to receive either nasal bi-level NIPPV or placebo with a sham device providing a pressure of 1cm H2O. This study showed a greater improvement in FEV1 in the NIPPV group compared to the placebo group at both 3 and 4 hours. Additionally, they reported greater improvement from baseline in PEFR, FVC and respiratory rate at both 3 and 4 hours in the NIPPV group. No patients in either group died or were intubated. Finally, in Gupta, et al. 53 patients with severe asthma who were admitted to a pulmonary ICU were randomized to NIPPV or standard asthma therapy. This study showed a trend toward improvement in a number of patients with FEV1>50% improvement from baseline in the NIPPV group, though this trend did not reach statistical significance. Interestingly, there was a statistical advantage in both ICU length of stay and hospital length of stay in the NPPV group with the NIPPV group requiring almost half the amount of time in the ICU (10hr versus 24 hr; p=0.01) and a shorter total hospital stay (38hr versus 54 hr; p= 0.01). There were two patients in the NPPV group who went on to intubation, though the difference was not statistically significant. There was also a 2012 Cochrane Review, which performed a meta-analysis on these and several other studies on the use of NIPPV in acute asthma (Lim, 2012). This analysis also showed no benefit for NIPPV with respect to intubation or mortality, but did show that NIPPV may improve both ICU length of stay as well as total hospital length of stay in the asthmatic patient. The meta-analysis also confirms the difference in respiratory parameters noted in Soroksky and Gupta, namely that patients in a ward setting were more likely to show improvement in pulmonary function parameters with NIPPV than their ICU counterparts indicating that asthma severity requiring admission to an ICU may predict failure of NIPPV. With respect to pediatrics, several studies have shown a potential benefit in the setting of both moderate and severe asthma. Though multiple observational studies and case reports exist (Akingbola, 2002; Carroll, 2006; Beers, 2010; Williams, 2010) which all support the safety and potential efficacy of NIPPV in pediatrics patients. Basnet, et al. (2012) represents the largest prospective, randomized-controlled trial specifically looking at NIPPV in the setting of pediatric status asthmaticus. Though this study suffers from low numbers with only 20 patients randomized, it does show a statistical benefit in the NIPPV group with regards to clinical asthma scores, respiratory rate, and supplemental oxygen need. In this study, one patient was discontinued from NIPPV for persistent cough. Bottom Line: NIPPV has not been shown to be superior to standard therapy with respect to mortality or need for intubation, though it does appear to potentially show a benefit with respect for hospital length of stay and other respiratory effort parameters. NIPPV has also been shown to be safe for use in pediatrics with severe asthma. Inhaled corticosteroids (ICS) are the mainstay of therapy for long-term control of mild to severe-persistent asthma. In its 2015 report on a global strategy for asthma management, the National Heart, Lung and Blood Institute recommends initiation of ICS therapy at ED discharge for patients with an acute asthma exacerbation, citing a known reduction in mortality with daily ICS use in asthmatics (GINA, 2015; Suissa, 2000). This recommendation is specifically for long-term use of ICS, though there has also been some study into the efficacy of ICS use for a shorter period for patients discharged from the emergency department both for the treatment of acute asthma exacerbations as well as for the purpose of chronic asthma management. Inhaled corticosteroids work by directly targeting the inflamed airways and have the benefit of minimal systemic absorption and, therefore, minimal systemic side-effects. For long term asthma care, this greatly decreases the need for chronic use of systemic corticosteroids. As initiation of systemic corticosteroids in the setting of an acute asthma exacerbation is recommended by multiple professional societies and is considered standard of care, we won’t go into significant depth into the evidence for ICS use alone for the treatment of asthma in the emergency department and at discharge. It is, however, worthwhile to note that there are multiple studies that support the initiation of ICS in the emergency department. Some research comparing ICS directly to systemic corticosteroids, both IV and PO, has demonstrated shortened time to improvement in respiratory parameters (usually FEV1 as percent of predicted) as well as decreased time to discharge (Scarfone, 1995; Devidayal, 1999; Rodrigo, 2005; Starobin, 2008). When ICS therapy was added to corticosteroid therapy in the ED, multiple studies and a systematic review indicate that ICS therapy decreased rate of admissions, though the reviewers caution that the newest evidence trended toward no difference (Edmonds, 2012). Specifically looking at the original question, there are two published studies that report the addition of ICS therapy to systemic steroids at ED discharge for the treatment of acute asthma exacerbations. Rowe, et al. (1999) performed a placebo-controlled, double-blind, randomized trial where they randomized 188 patients to be discharged with a prednisone burst for seven days with placebo or with inhaled budesonide for 21 days. Their primary outcome was relapse after discharge. They report a statistically significant reduction in relapse in 21 days among the budesonide group (12.8% versus 24.5%; P= 0.049) which resulted in a NNT = 9 for the prevention of relapse. The other published study, Brenner, et al. (2000), compared a prednisone burst for 5 days plus placebo or inhaled flunisolide for 24 days Their primary metric was PEFR at 3, 7, 12, 21, and 24 days. They had a fairly high lost to follow-up rate at 28% but were unable to demonstrate any difference in PEFR improvement in the flunisolide group compared to placebo (87% versus 83% at 24 days). While it was not the primary outcome, they reported similar relapse numbers in the groups. Though these studies represent mixed data with regard to actual treatment of acute exacerbations, there is more robust data to support starting ICS therapy out of the emergency department for the prevention of future exacerbations. In Sin, et al. (2002), they followed 1295 patients who presented to an ED with an acute asthma exacerbation. They determined that if the patients used an ICS medication after discharge from this index visit, they were 45% less likely to have a relapse ED visit within two years (RR, 0.55; 95% CI, 0.44-0.69). Though it was not entirely clear from the study if the ICS medications had been started by the ED providers or by the patient’s PCP, there is also good evidence that PCP’s do not routinely start ICS medications after an ED visit. In a study by Cydulka, et al. (2005), fewer than half of patients who presented to the ED with acute asthma exacerbations were started on ICS therapy as an outpatient by their PCP. With this in mind, both GINA (2015), and the NIH/National Asthma Education and Prevention Program recommend initiation of long-term (2-month supply) ICS medications at the time of ED discharge. Though long-term ICS use is only recommended for patients with persistent asthma, multiple studies have shown that between 67-85% of patients who present to the ED with an asthma exacerbation have symptoms consistent with persistent asthma (Self, 2009). Bottom Line: Long-term use of ICS is the standard of care for patients with persistent asthma for the prevention of exacerbations and improvement in mortality. 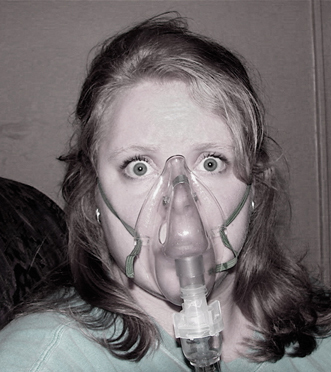 As there is a high rate of patients with persistent asthma among those who present to the ED with an acute asthma exacerbation, and there is inconsistent follow-up initiation of ICS therapy by PCP’s, the ED physician should strongly consider starting long-term ICS therapy on any patient with symptoms of persistent asthma prior to discharge. 3. When, if ever, do you use ketamine for induction or for treatment without intubation? Ketamine (ketamine hydrochloride) is a dissociative anesthetic that has been used both for primary treatment of bronchospasm and as adjunctive therapy for bronchospasm in the form of an induction agent when intubating a patient with severe asthma. First described in a case report in 1971 (Betts, 1971), ketamine has long been studied in pediatric patients for direct reversal of bronchospasm. The mechanism of action, studied by Gateau, et al. (1989) in human bronchial preparations, is felt to not involve the beta receptor or prostaglandins, but this basic science research did show a direct bronchodilatory effect. Unfortunately, since these potential effects were first described, there has been a paucity of good studies to support the clinical benefit of ketamine in the asthmatic patient. There are many case reports which describe the observed efficacy of ketamine in the refractory asthmatic patient, particularly among pediatric patients, though only a few observational studies or RCT’s. Petrillo, et al. (2001) performed a prospective, observational study looking at ten pediatric patients who had been unresponsive to standard therapy but had not yet been intubated. In this bolus and continuous infusion therapy model, the authors report an improvement in clinical asthma score as well as improvement in oxygen saturations. Allen, et al. (2005) went further by performing a double-blinded RCT comparing bolus and continuous infusion dose ketamine to placebo for pediatric patients with an acute asthma exacerbation. They did not demonstrate a benefit of ketamine over placebo when using the Pulmonary Index score as their primary outcome. In adult patients, Howton, et al. (1996) peformed a double-blinded RCT with a bolus and continuous infusion in adult patients, similar to Allen, et al. (2005) In this study, the authors did not find any benefit of ketamine to placebo, however they did have to decrease the bolus dose from 0.2mg/kg to 0.1mg/kg during the study due to a significant number of dysphoric reactions. The dissociative effect of ketamine has also made it of interest to investigators looking at sedation to enable implementation of NPPV therapy for patients who otherwise are not tolerating it. The use of a sedative like ketamine for the purpose of pre-oxygenation (with NPPV or NRB mask) is termed Delayed Sequence Intubation or DSI (Weingart, 2015). As described in the observational prospective study by Weingart, et al. (2015), ketamine was used to sedate agitated patients with respiratory failure requiring intubation in the peri-intubation period for the purpose of better pre-oxygenation. In contrast, Kiureghian, et al. (2015) describes a case report where ketamine was used for the sole purpose of applying NPPV in a patient with a severe asthma exacerbation. Recognizing the limited evidence to support NPPV for acute asthma exacerbations, it’s not clear how useful this method would be for primary treatment of these patients. DSI for better pre-oxygenation using ketamine may have applications for a certain subset of severe asthmatic patients requiring intubation. Finally, utilization of ketamine as an induction agent for rapid-sequence intubation in the severely asthmatic patient has also been of interest given the described bronchodilatory properties. L’Hommedieu, et al. (1987) presented a small case-series of five pediatric patients who were intubated using ketamine as the induction agent, with succinylcholine as the paralytic. All patients who had an initial pCO2 measured (one was in respiratory arrest) were noted to be hypercarbic prior to intubation and had improvement in pCO2 values after intubation. Whether this is an effect of the ketamine or of positive pressure ventilation is not clear, as there is no control or standard therapy group to compare the ketamine group to in this tiny case-series. There do not appear to be any additional studies looking at ketamine as an induction agent in severe asthma. Bottom Line: Ketamine has been shown in laboratory models to have a bronchodilatory effect. The use of ketamine for improved oxygenation though delayed-sequence intubation appears safe and may improve pre-intubation hypoxia. Using ketamine as an induction agent in the severe asthmatic patient has some theoretical advantage and may be considered in a patient without contraindications to ketamine administration. First described in the medical literature by Melland (1910), the use of systemic epinephrine for the reversal of bronchoconstriction was a mainstay of asthma treatment for many years. Epinephrine can be administered through a variety of routes including subcutaneous, inhaled and intravenous administration. It has both alpha and nonselective beta receptor activity, which is in contrast to the beta2 selective agents we more commonly use today. It has been proposed that the alpha receptor stimulation may also have a benefit in acute asthma exacerbations by decreasing bronchial wall congestion and edema (Grandordy, 1995). Perhaps the first study of epinephrine that demonstrated a measurable improvement in respiratory parameters was by Hurtado, et al. (1934). This small observational study of 5 patients demonstrated an improvement in the vital capacity after administration of subcutaneous epinephrine. In a later study, Rees, et al. (1967) administered subcutaneous epinephrine to nine asthmatic patients and measured FVC and PaO2 both before and after epinephrine administration. This study showed an improvement in both FVC and PaO2 after epinephrine was given. When looking at both dosing of subcutaneous epinephrine as well as timing of administration in reference to peak effect, Gotz, et al. (1988) demonstrated that patients after ephinephrine administration continued to show improvement in peak expiratory flow rates (PEFR) for up to 40 minutes, no matter what the initial dose given was (0.1mg, 0.3mg or 0.5mg). There was also no difference in degree of improvement in PEFR between the different doses. In the 1970’s, more selective beta2-agonists such as terbutaline began to come into favor with the theory that they would have fewer adverse effects than epinephrine due to their more selective profile. Schwartz, et al. (1976) directly compared subcutaneously injected terbutaline to epinephrine and found that terbutaline improved both FVC and FEV1 by almost double that of epinephrine, indicating that terbutaline may be a superior bronchodilating agent. In Smith, et al. (1977) , 49 patients were randomized to receive 1mg of terbutaline versus 0.5mg of epinephrine. There was no statistical difference in improvement of respiratory parameters between the groups, though there was more tachycardia in the terbutaline group which called into question how selective this compound was for the beta2 receptor at increased doses. In Spiteri, et al. (1987), 20 patients with severe asthma exacerbations were randomized to either 0.5mg of terbutaline or 0.5mg epinephrine subcutaneously. When looking at the outcomes of peak expiratory flow (PEF) and FEV1, there was no statistical difference in the degree of improvement between the study groups. In addition to its nonselective adrenergic properties, the need to inject epinephrine subcutaneously was felt to be invasive and contributing to increased pain and anxiety in patients, especially pediatric patients. This led to increased interest in both aerosolized/nebulized selective beta2-agonists as well as inhaled epinephrine. Becker, et al. (1983) examined nebulized albuterol with injected epinephrine in 40 pediatrics patients with acute asthma. Though they failed to show any benefit to one therapy over the other they did conclude that the noninvasive administration of albuterol was preferred over the more invasive subcutaneous epinephrine given the similar efficacy. At this point in asthma treatment research, it had been demonstrated that nebulized administration of beta2-agonists was superior to IV administration in terms of side-effect profile. There was increased interest in determining whether nebulized administration of epinephrine might demonstrate a similar effect Kjellman, et al. (1980) compared nebulized racemic epinephrine to albuterol in a randomized crossover trial of ten children. Specifically, they compared the percent change in FEV1 as a response to the drug. Both racemic epinephrine and albuterol showed an improvement in FEV1 from baseline, and there was no statistical difference seen. Abroug, et al. (1995) compared nebulized albuterol and nebulized epinephrine in 22 adult patients presenting to an ED with an acute asthma exacerbation. Again, this study failed to show a statistically significant difference in the degree of bronchodilation, in this case by measuring PEFR. In probably the largest randomized study comparing nebulized albuterol to epinephrine, Plint, et al. (2000) randomized 120 pediatrics patients with pulmonary index score (PIS) as their primary outcome. The groups were well-balanced from a prognostic standpoint in regards to age, prior ED visits, inhaled beta agonist or steroid use, and each group had an average PIS of 8 on arrival. Neither group showed a statistically different improvement in PIS. There was also no statistical difference in SpO2 between the groups, though there was a greater decrease in heart rate by an average of 8bpm as well as increase in respiratory rate by 2 breaths/min in the albuterol group. In a 2006 meta-analysis by Rodrigo, et al. (2006), the authors combined data from 6 trials, which reported FEV1 or PEFR when comparing nebulized albuterol to nebulized epinephrine. This pooled analysis showed no difference between the treatment modalities, however this analysis suffered from a high degree of heterogeneity as the different studies used different doses of epinephrine. When they dichotomized the data into a low dose epinephrine (1-2mg) and a high dose epinephrine (>2mg) group, they noted that albuterol was superior to low dose epinephrine with no difference compared to high dose epinephrine. Though there is a paucity of evidence on the efficacy of intravenous epinephrine, there are two retrospective chart reviews describing the safety/adverse effects seen when it is administered to patients considered to have severe asthma. In Smith, et al. (2003), the authors searched for any patient admitted to the ICU from two separate ED’s who was given IV epinephrine over the course of 8 years. They identified 27 patients who met their study criteria. They looked for adverse events such as arrhythmia, cardiac ischemia, cerebral ischemia, hypotension or hypertension. They observed that 9 patients developed new tachycardia and 4 had new/worsening hypertension. They noted no incidents of arrhythmia or cardiac/cerebral ischemia in any patients. This led the authors to conclude that IV epinephrine was potentially safe for use in the severe asthmatic as an adjunct after failure of beta2-agonist therapy. On a similar safety note, Cydulka, et al., found subcutaneous epinephrine in anaphylaxis-style dosing caused no adverse events in ninety-five asthmatics aged 15 to 96 (Cydulka, 1988). The second study, Putland, et al. (2006), was much larger and included 220 patients who were initiated on an epinephrine infusion for the treatment of severe asthma. The primary endpoints of this retrospective chart review were serious adverse events which they defined as death, non-sinus tachyarrhythmia, hyper- or hypo- tension with adverse outcome requiring treatment, EKG changes or biomarker elevation consistent with ischemia, non-transient neurologic sequelae, or an extensive area of local tissue necrosis. They also reported other adverse events such as sinus tachycardia, hypertension/hypotension not requiring intervention, chest pain without objective evidence of cardiac ischemia, and local tissue ischemia. Sixty-seven patients were noted to have at least one adverse event with an adverse event rate per episode of 3.6% with 2 non-sinus tachyarrhythmias (both SVT), 4 episodes of hypotension requiring intervention and 2 episodes of objective myocardial ischemia. There was a much higher rate of other adverse events (30.5%) with the majority of these being sinus tachycardia (23 patients) or hypertension (30 patients). The problem with determining the usefulness of these studies is their small size, the lack of a standard therapy or control group, limited reporting of demographic data (only reported in Smith 2003 which was by far the smaller of the trials), a relatively young patient population in the ages reported (median age 25 with a range of 19-58 in Smith 2003) and no reporting of association of adverse events with age or other comorbidities. Additionally, there is minimal literature looking at the sickest subset of patients with asthma. There is no good evidence that the use of epinephrine is superior to inhaled albuterol or other selective beta-agonists. There is the theoretical advantage that epinephrine appears to be largely safe to administer through an IV or IM route which may result in better drug delivery in patients with severely restricted air movement. This entry was posted in Uncategorized and tagged Asthma, bipap, epinephrine, ketamine, NIPPV, status asthmaticus, steroids. Bookmark the permalink. Very excited to have one of my registrars (residents, you would say) point out to me that someone actually read my paper on epinephrine for severe asthma! It was a bit of a “here-ism” at the place I worked that people would get started on IV epi at the time and although there were good theoretical arguments for it, I think it came down to dominant personalities in the place at the time. It was only when I went and worked elsewhere that I realised that some things are just hte way they are because someone locally important says they should be. The paper was also a lesson for me. For any budding researchers out there: define everything before you start and try to base those definitions on something validated. I had such a hard time working out what constituted an adverse event and I was never really happy with the definitions I used. I will claim the scars from doing that 220 patient chart review as an excuse for my abject lack of research since then! Keep up the good work guys. I really liked the historical perspective in this post, explaining how asthma therapy changed over relatively recent decades due to the arrival of new drugs and routes of administration.